Tuesdays just got TUF. On January 22, some of the world’s most talented and determined mixed martial artists will face-off in the most grueling sports tournament on television. Watch as 28 mixed martial arts prospects battle for a coveted spot on the new season of The Ultimate Fighter, which begins with a special two-hour premiere airing at 8 p.m. ET/PT on FX. The Ultimate Fighter, the Ultimate Fighting Championship’s long-running reality television series, will run for 13 weeks and will culminate in a three-hour finale, live from the Hard Rock Hotel & Casino in Las Vegas, Nev. Unlike previous seasons on FX, the one-hour broadcast will now be shown on Tuesday nights at its new regularly scheduled timeslot of 9 p.m. ET/PT. The 14 successful combatants will be divided into two teams, which will be coached by two of the fiercest rivals in all of sport. 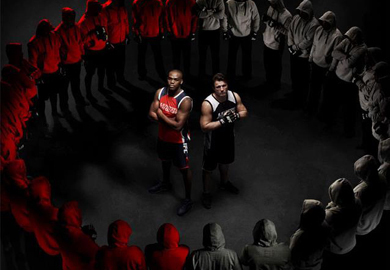 UFC light heavyweight champion and MMA superstar, Jon “Bones” Jones will captain one team, while the controversial and charismatic challenger Chael Sonnen will lead the second team into battle in this, the 17th installment of the series. 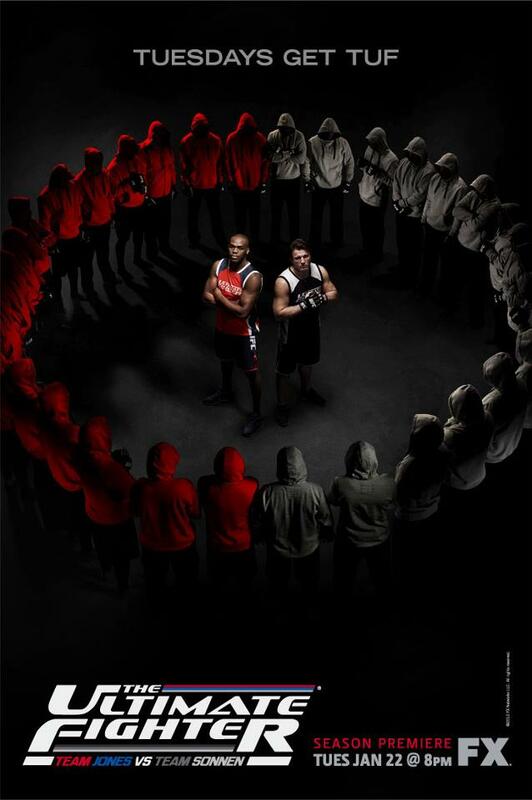 The coaches will then collide for the light heavyweight title on Saturday, April 27, at UFC 159: JONES vs. SONNEN at the Prudential Center in Newark, N.J. The list of finalists in the middleweight (185 pounds) division was trimmed from more than 250 applicant athletes. The fighters – all seeking the opportunity of a lifetime and a six-figure contract from the Ultimate Fighting Championship – hail from the United States, Australia, England and Sweden. Hito Andrews (9-2), 34, Sacramento, Calif.
Nicholas Hohring (3-0), 22, Valley Springs, Calif.
Tune-in and watch who will become the next THE ULTIMATE FIGHTER on FX!